Katie Yeaton-Hromada is a Resident Director at the University of Southern Maine. As a weekly writer for the Student Affairs First Years team since 2015, Katie started blogging with the goal of posting monthly as a representative for her Master's of Higher Education program. 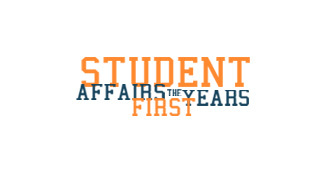 Two+ years later, she has found a home with SA-First Years and loves talking about her experiences and advice, creating discussion points for other professionals. Katie's three particular areas include residential life, international students, and baton twirling in higher education. Katie's long-term goals are to complete her Ph.D. and travel to all 50 states. 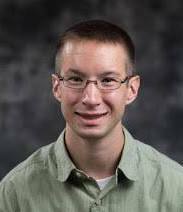 Dylan started his Student Affairs journey when he became an RA his junior year in college. Through that opportunity, he got involved in many different ways, such as Student Ambassadors, Study Abroad, and NRHH. He graduated from Western Kentucky University in 2015 and then started a higher education program at the University of North Dakota. While Dylan was there, he was a Hall Director and held internships in Student Involvement and Facilities. In July 2017, he started his first full-time job as an Area Coordinator at Middle Tennessee State University. Dylan also likes hiking, running and watching Netflix. 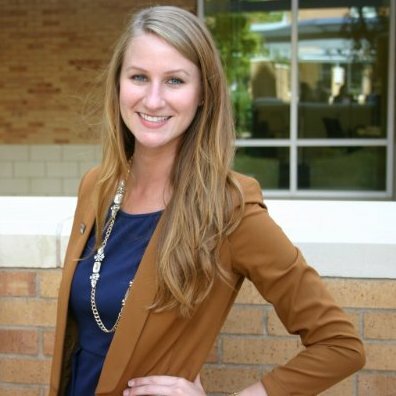 Brooke Wilson is the Program Coordinator for the Office of Student Leadership Development at Vanderbilt University. Brooke attended the University of North Carolina Wilmington (UNCW) for her undergraduate work where she received a B.S. in Biology. Upon graduation, Brooke worked full-time for two years in Wilmington with a non-profit campus-affiliated organization, Cru. During her role with Cru, Brooke primarily worked alongside the Greek community and focused on outreach to the greater UNCW community. This type of work affirmed Brooke's passion for the college student development, so she moved to College Station, Texas and pursued her Masters of Science in Educational Administration through the Student Affairs Administration in Higher Education (SAAHE) Program. After two years in Texas, Brooke, her partner (Hunter), and rescue pup (Moose) moved back towards the east coast to Nashville. Brook is an active member in NASPA and is always looking for opportunities to contribute to the greater student affairs community. Brooke strongly believes in reflection and has a personal affinity for it. 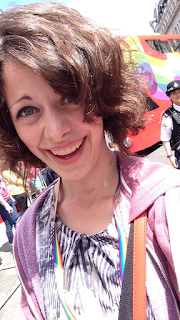 She sees blogging as a way of serving and connecting with #SAPros around the world. When Brooke is not at work or snuggling Moose, she is doing yoga, yard work (great stress relief), shopping, and getting coffee with anyone who will entertain her in a conversation for an hour or two. Sarah is an Assistant Director at the University of Miami in the Housing & Residential Life Office. She is a graduate of University of South Florida and Ball State University's Student Affairs Administration in Higher Education program. She has served as a past state member of AmeriCorps Cape Cod. During her free time Sarah enjoys traveling, the beach, college football and shopping. Within Student Affairs she is passionate about civic engagement, women in leadership and housing. Jenni Batchelder serves as the Social Media Coordinator for the #SAFirstYears blog. In her non-tech life, Jenni is a doctoral student in the Florida State University Higher Education program. Her research interest is in student involvement and leadership development. She also serves as the Graduate Assistant in for the FSU Leadership Learning Research Center in The Center for Leadership and Social Change. Jenni received her Bachelor’s in Marketing and Master’s in Student Affairs in Higher Education from Texas State University-San Marcos. Through her work she has experience in: student activities, leadership, new student orientation, housing, & conference services. She is passionate about recognizing potential in her students and helping them reach that potential through challenge and support! Jenni been a proud member of this team since its start and after 2 years of blogging, joined the Leadership Team! For fun, she enjoys riding her bike, dancing, karaoke, & meeting people (a true WOO)! Maggie is a Student Programs Coordinator at the University of South Florida within the Center for Student Involvement. At USF, Maggie directly advises student-led programs such as the University Lecture Series and the Centre Gallery. She is a graduate from Florida Southern College and the University of Florida Student Personnel in Higher Education program. She is an active member of the National Association of Campus Activities (NACA), serving as a volunteer and as an educational session presenter. In her spare time, Maggie enjoys singing, shopping, going to the beach, spending time with friends and family, and cheering on her favorite college sports teams. Go Mocs, Go Gators, Go Bulls! 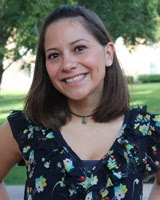 Kristina is a second-year graduate student in the Counseling Student Affairs program at Northern Arizona University. She is currently working as a Graduate Assistant Residence Hall Director in a co-ed building of over 800 first- year students. She is passionate about working with a diverse set of students and working to create allies across campus. She is passionate about working with first-gen students and supporting various students through the journey of their college experience.